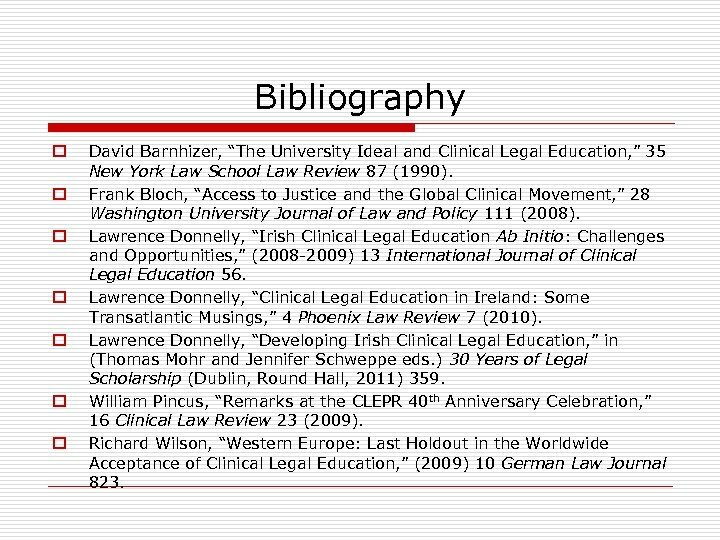 Bibliography o o o o David Barnhizer, “The University Ideal and Clinical Legal Education, ” 35 New York Law School Law Review 87 (1990). 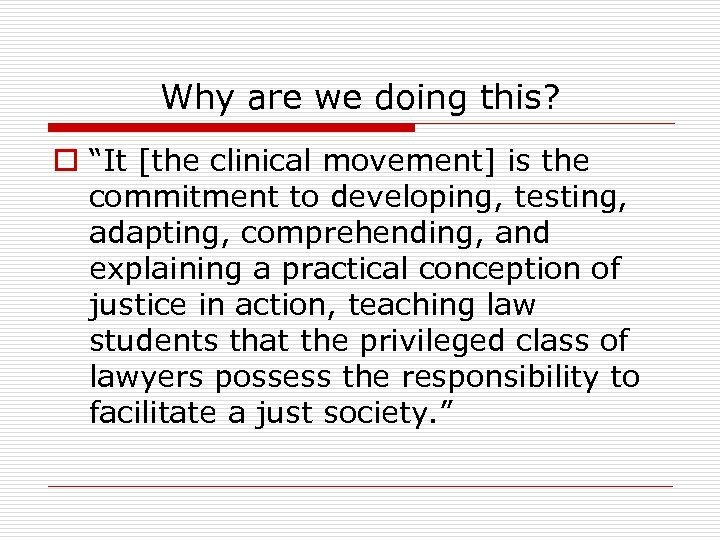 Frank Bloch, “Access to Justice and the Global Clinical Movement, ” 28 Washington University Journal of Law and Policy 111 (2008). 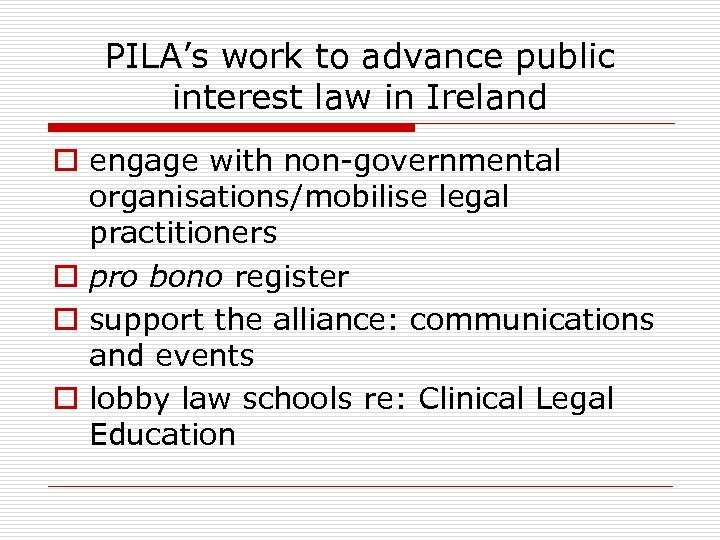 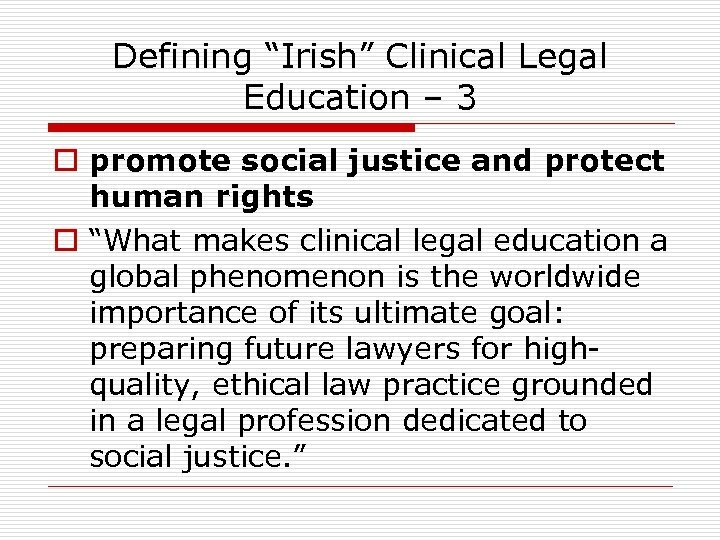 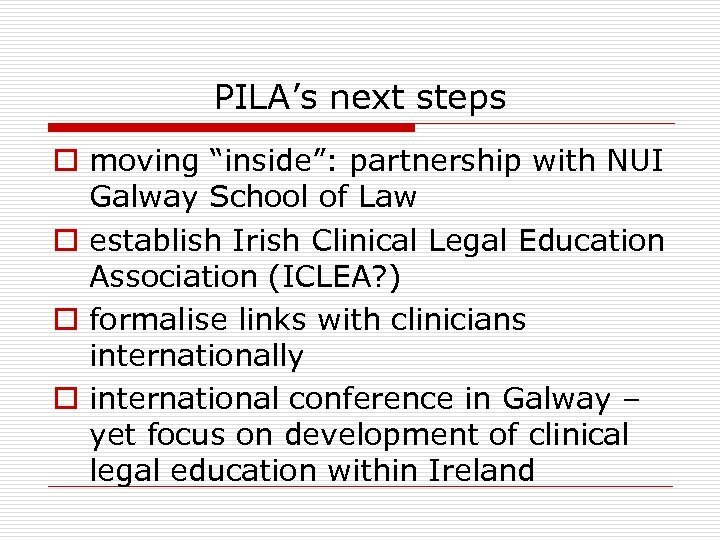 Lawrence Donnelly, “Irish Clinical Legal Education Ab Initio: Challenges and Opportunities, ” (2008 -2009) 13 International Journal of Clinical Legal Education 56. 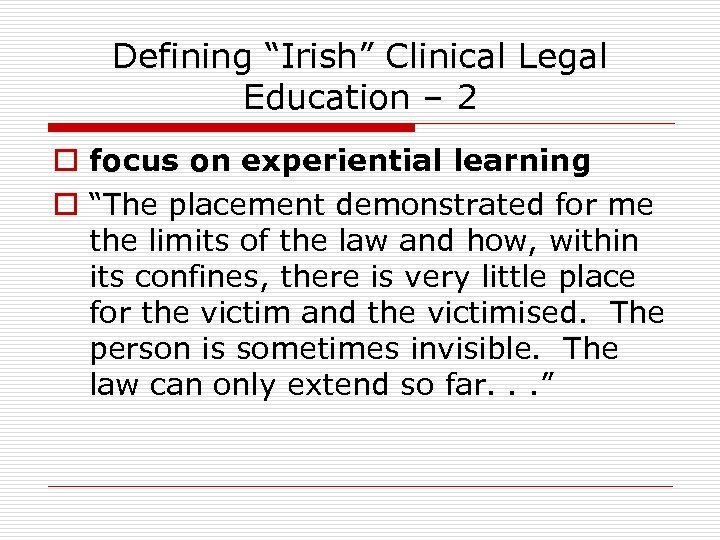 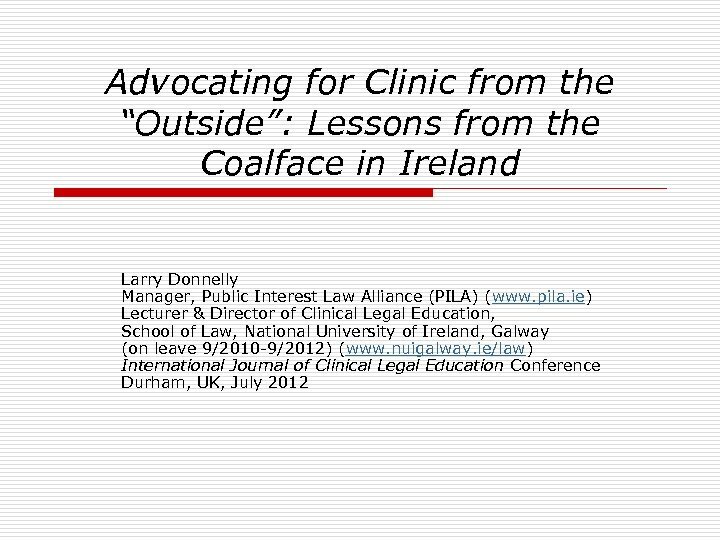 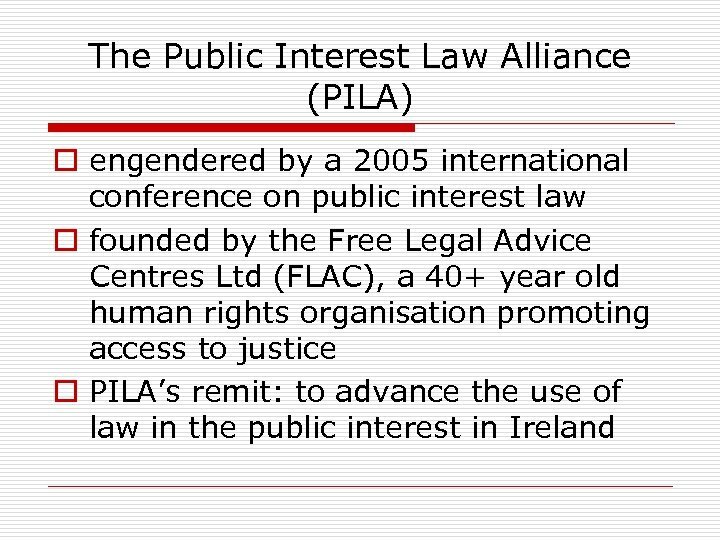 Lawrence Donnelly, “Clinical Legal Education in Ireland: Some Transatlantic Musings, ” 4 Phoenix Law Review 7 (2010). 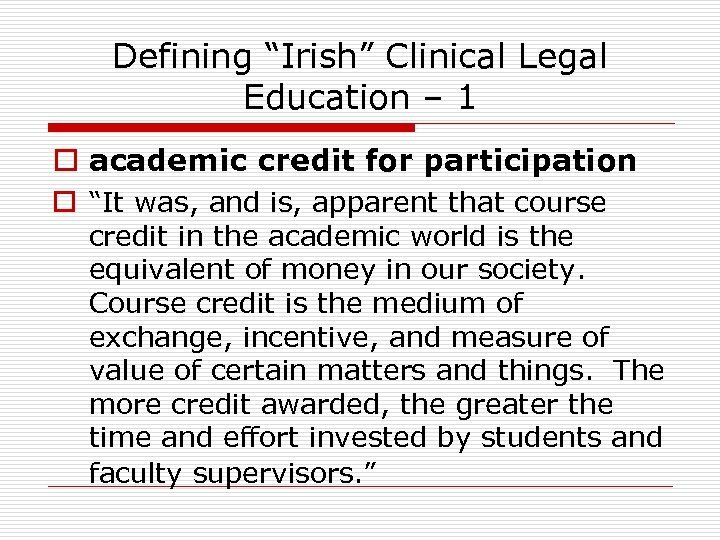 Lawrence Donnelly, “Developing Irish Clinical Legal Education, ” in (Thomas Mohr and Jennifer Schweppe eds. ) 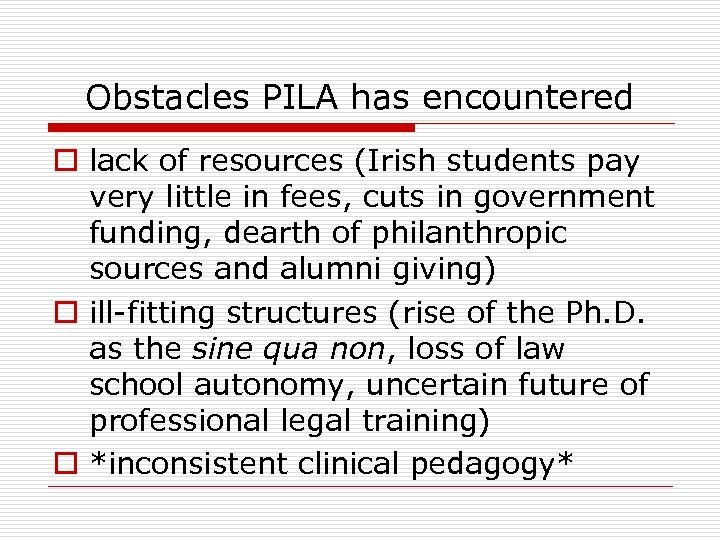 30 Years of Legal Scholarship (Dublin, Round Hall, 2011) 359. 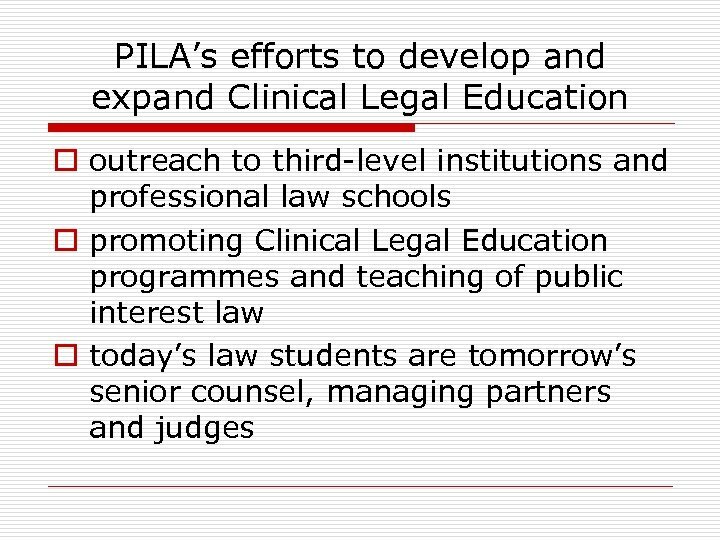 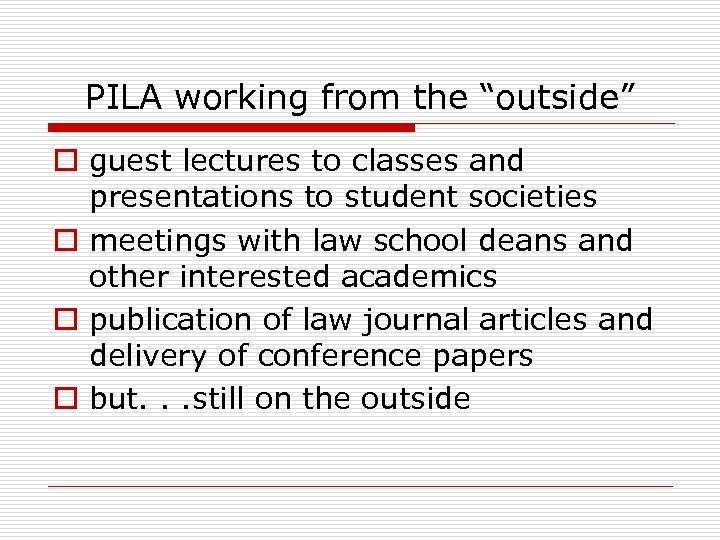 William Pincus, “Remarks at the CLEPR 40 th Anniversary Celebration, ” 16 Clinical Law Review 23 (2009). 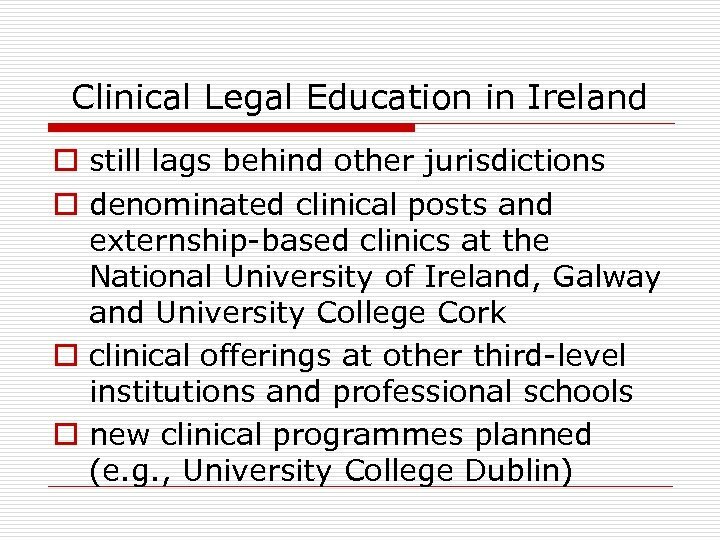 Richard Wilson, “Western Europe: Last Holdout in the Worldwide Acceptance of Clinical Legal Education, ” (2009) 10 German Law Journal 823.